This is a great basic black. I bought it to use for nail art. Would be great around Halloween too. I`m not sure if I just received a bad bottle or if I had my hopes up too high for this one (but look at all the hype about it! 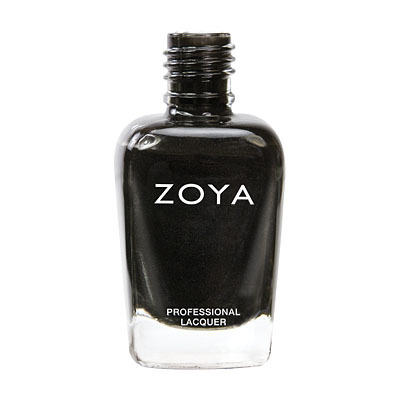 ), but I am very disappointed with Zoya Raven. 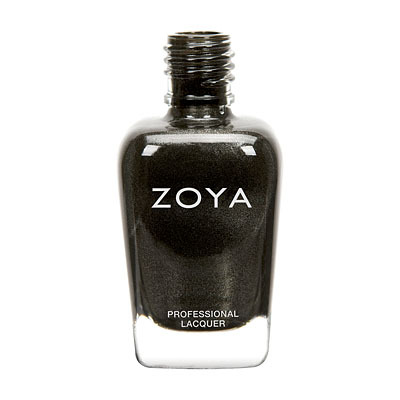 The image online depicts one of the blackest blacks and raves about how it has a silver shimmer - however, what I received in the mail is a dull black with an almost hazy gloss that makes the polish appear to be a very dark gray or a fading black. 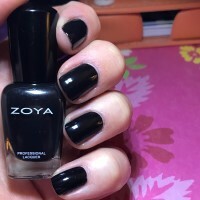 Since I got the bottle through the Zoya 2012 promotion and it was free, I won`t bother sending it back, but I will say that I am extremely disappointed as a regular user of black nail polish. This is my first black nail polish and I absolutely love it. I would say it takes 2 coats for a completely opaque look, but one coat is decent. 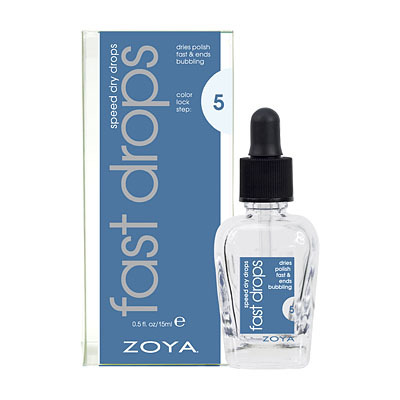 It glides on perfectly with out any streaks, like all of zoya`s nail polish I have tried. I can see the silver sparkles in the black if I look really hard and move my nail around to reflect the light just right. However, from first glance the color looks purely black. 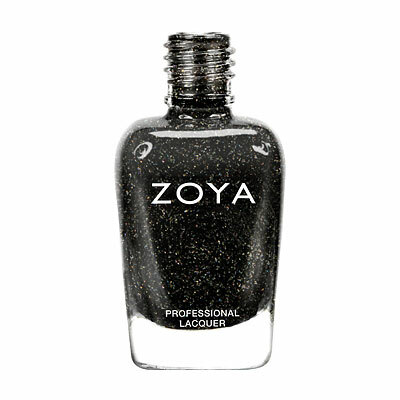 This is my first black nail polish purchase, and I liked the idea of the silver glisten or shimmer in it. 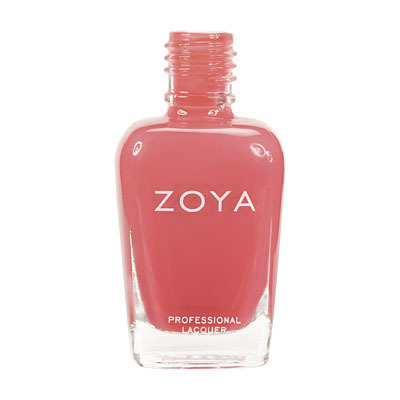 But, when I applied it to my nails I learned the shimmer does not show up after it dries. I still think it is a beautiful polish, and I love how smoothly it goes on. 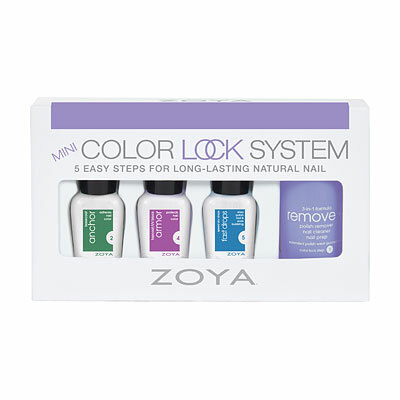 I would definitely recommend raven to black nail polish users or those wanting to try the color for the first time. But, do not expect the silver shimmer, which is why I only gave it four stars. This is my first black nail polish and I love it. The only issue I have is the formula-- its a little goopy and took 3 coats for me (though it might be a temperature issue). I`m a 3 coat addict though. The shimmer gives it a more depth. I got this for Halloween. I don`t usually wear black and I most likely won`t wear it any other time except Halloween. 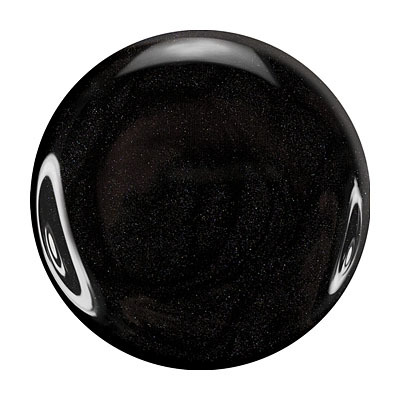 It is a great simple black though with a very small bit of shimmer. If you like black, then this is a great choice! 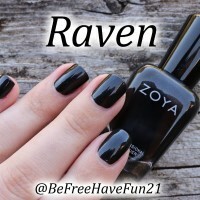 Zoya Nail Polish | RavenAwesome Black! A really unique polish for every collection. With the light shimmer, it adds to what would otherwise be just another black polish. 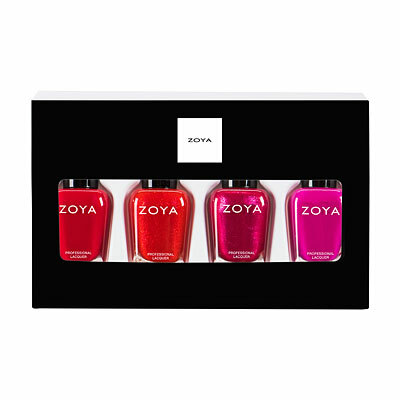 It adds to the chic factor and should be in every polish-fanatic`s collection! 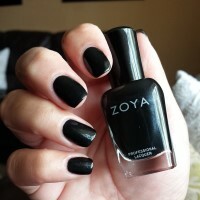 I dont normal wear black polish, but this one caught my eye. Zoya Raven is a gorgeous black that is very sleek looking. It lasted about a week on my nails with Zoya Armor topcoat.